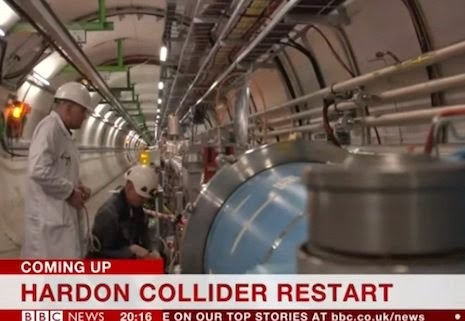 The Large Hadron Collider has been out of the news for a couple of years while it's been shut down and upgraded. But now it's back with double its previous capacity. And with it, the same old headlines from BBC News which, clearly, hasn't matched the upgrade to its spell-check system.